DO YOU HAVE BIG DREAMS OF TAKING AN INTERNATIONAL TRIP, BUT FEEL OVERWHELMED BY THE THOUGHT OF PLANNING? BREATHE A SIGH OF RELIEF AND CHECK OUT THESE GREAT PLANNING TIPS. Planning for an international trip can be a daunting experience. When I planned my first trip out of the country to Iceland, I was afraid that I was going to miss something. Attention to detail is important when traveling out of your home country, but with a little preparation, any international trip can be a smooth and enjoyable process. After ordering your passport or double-checking its expiration date, researching your destination is the most important. 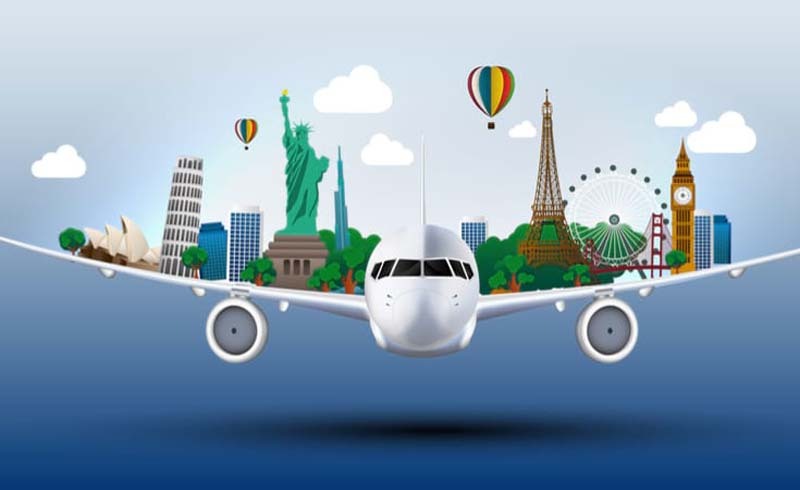 Know what the climate will be like during your travel timeframe, what visas or immunization shots may be needed, the crime level, what electronic converters and adapters you'll need, as well as any special requirements for the activities you have planned. The more research you do, the easier it will be to decide what to see and what to avoid. By reading blogs and travel forums, I was able to discover the best time to visit certain places in Iceland to avoid crowds and miss peak season by a few days (to save money). There are plenty of great travel books you can check out at the library or buy at a bookstore, such as the following series: Fodor's, Lonely Planet, Frommer's, and Rick Steves. Also, Eagle Creek has a great list of helpful checklist on their Travel Tips Page. Don’t be afraid to get online and ask questions about what type of clothing to bring or which types of food to try. 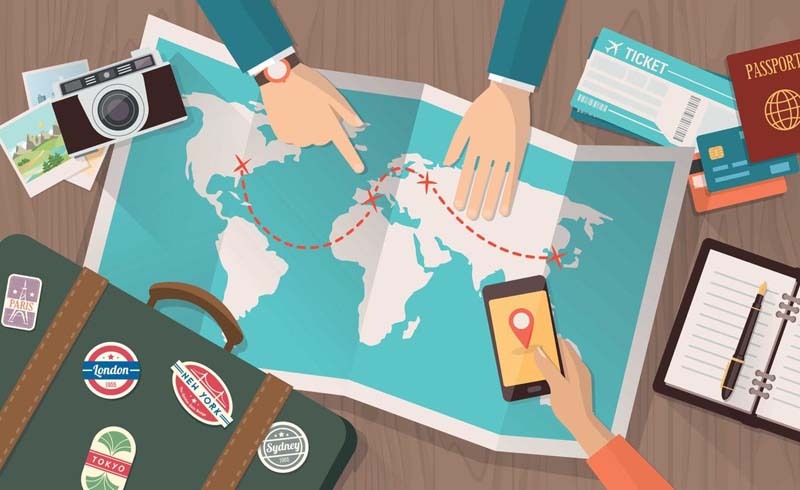 Travel forums and social networks are full of people who have been there before and often are more than happy to share information about their experiences. I tend to do this in phases. After I research my destination, my first step is to find a reasonably priced flight and book it. This commits me to the trip and once I have the flight booked, I can then plan the rest of my trip around that. Personally, I have found the best flight prices by booking roughly three months in advance. This one can vary based on where you are headed and your budget. In many places, you can get around just fine by using public transportation, though flexibility may be sacrificed. For example, when I was planning my trip to Iceland, I knew that I wanted to travel around the entire Ring Road and stop at my leisure, something that wouldn’t have been possible with public transportation. So I rented a car instead. Research is important here. Another time when I went to Norway, it was nice to have a rental car, but I could have probably accessed most of the places that I went via train or bus and would have probably saved a ton of cash. Another thing to keep in mind: Sometimes you'll need an international drivers license and insurance requirements. In much of Europe, rental companies build insurance into the cost of the rental, but you will want to check. Getting in an accident is never fun, but if you are out of the country and don’t have the right insurance, it can be downright expensive. Having an itinerary, even if you don’t stick to it, will keep your sanity levels in check. A simple outline of rough plans for each day, or a calendar that lists what you would like to accomplish each day is all you need. When you're in a foreign place, a to-do list may help you feel more comfortable and less overwhelmed. Once you know where you’ll be going when and what you'll be doing in each place, making a packing list will be a bit easier to do. Efficient and practical packing is important when traveling abroad because most airlines charge fees for each additional bag that you check. Packing organizers like the Pack-It™ System was a game changer on my trips. If your trip itinerary allows it, traveling with just one piece of carry-on luggage is ideal. And to avoid getting pickpocketed, it's best to store important documents (like your passport) in a neck wallet that's hidden under you're clothes and difficult for a thief to access. Now that you have a roadmap for planning your international trip, get out there and start planning. There are so many beautiful places to explore. Safe travels!